Discussion in 'Modified 1995-2001 Explorers' started by gmanpaint, November 7, 2010. After going through new upper ball joints in 2 months, and having the inner tie rods blown apart, I did some searching for something stronger. If you have anything to contribute, please do! Dixon Bros has a super HD set up for big bucks. Out of my price range. Outers & inners for $395+shipping. Since DB was too rich for me, and I needed upper BJ's, I kept on searching. Found a brand named Mcquay Norris. They have normal stock replacements (service grade) and Heavy duty parts (Pro Grade). I also found that NAPA has there own version of HD parts. That line is under the label..NCP for napa chasis parts. These looked almost identical to the M-N parts. I did some researching and it looks as if M-N was bought and sold once again and they are either "Raybesto" or "Napa" now. I ordered the pass side UCA/BJ, and the inner tierod ends. The HD line is called the "Extreme". I couldn't find the Dr side from M-N available anywhere, so I called on the Napa NCP HD Drivers UCA. I talked to the store owner, he informed me about a product he sells. He has 3 independent stores, and the corporate stores do not sell these. I picked it up and was pretty happy with it. It was $50 less than the NCP part and just as beefy. 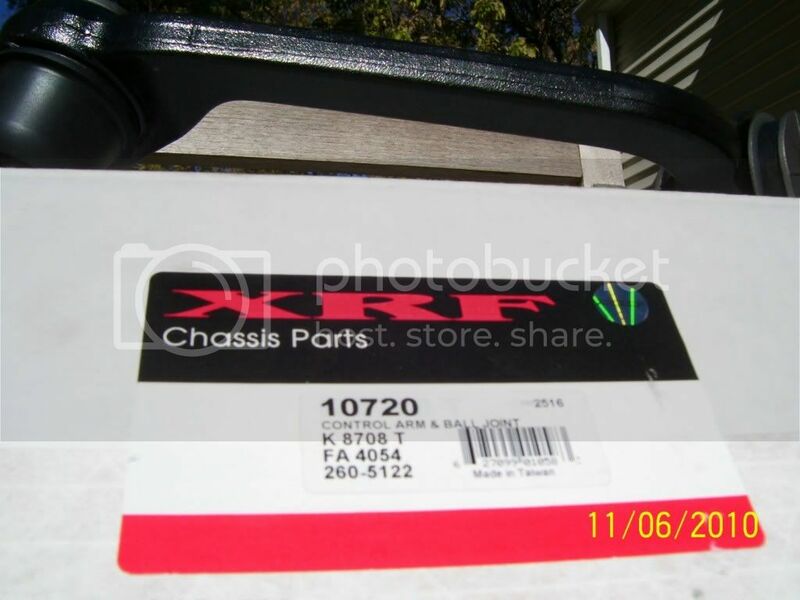 The "XRF" brand has a 1 million mile warranty on all their parts. These UCA have a replaceable Ball Joint. They sell every part for our trucks with the same warranty. The downside (to me) is they are imported, as NCP, Raybestos, M-N are not. XRF ball joints are built to perform under the most severe conditions like the oil patch and logging sites. 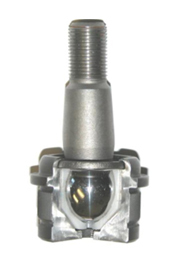 * XRF Zero-Lash ball joints have a ball stud that is fully encapsulated in a high strength Acetel bearing offering superior load disbursement and longer life. I haven't seen much on these upgrades for the 2nd gen IFS, so I just thought to share with you what I have found. These parts have just been installed and after the alignment is done, a good shake down run is in order. I will add to this thread as needed for updates. Prices are going to vary from place to place, brand to brand. The point being, that there are HD upgrades for our IFS set ups. If your rig has been modified with a torsion twist, bigger tires, etc... these parts will save you money in the long run, take the abuse, not leave you stranded in a far off place, and give you some piece of mind. Good to know info Gregg, I didn't think any other places made HD parts besides like DB or any place that specialized in Pre-runner type setups. 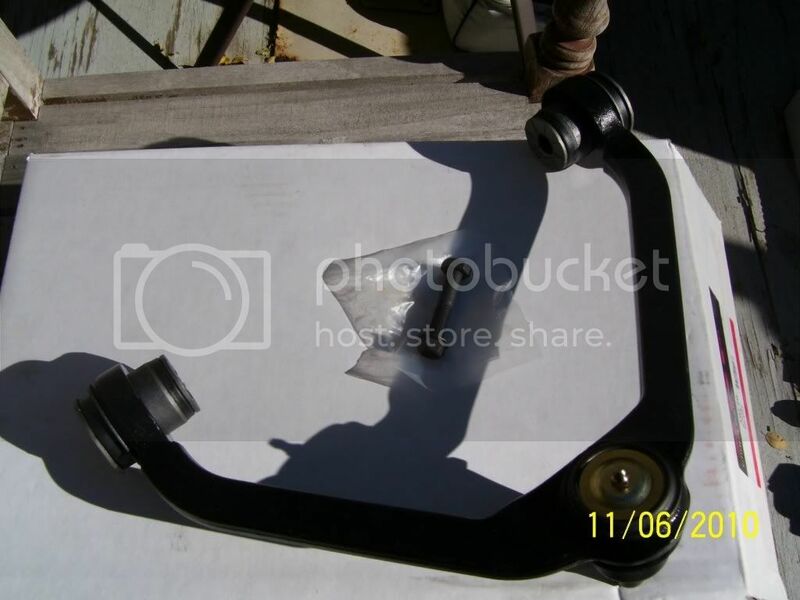 I just looked up Rockauto and only found the "Service" grade control arms. You have a link to the Professional control arms? It does indeed look the same as the M-N brand. It is $44 cheaper than the M-N...SOB!!!! I don't see the "Pro" grade for the dr side though. 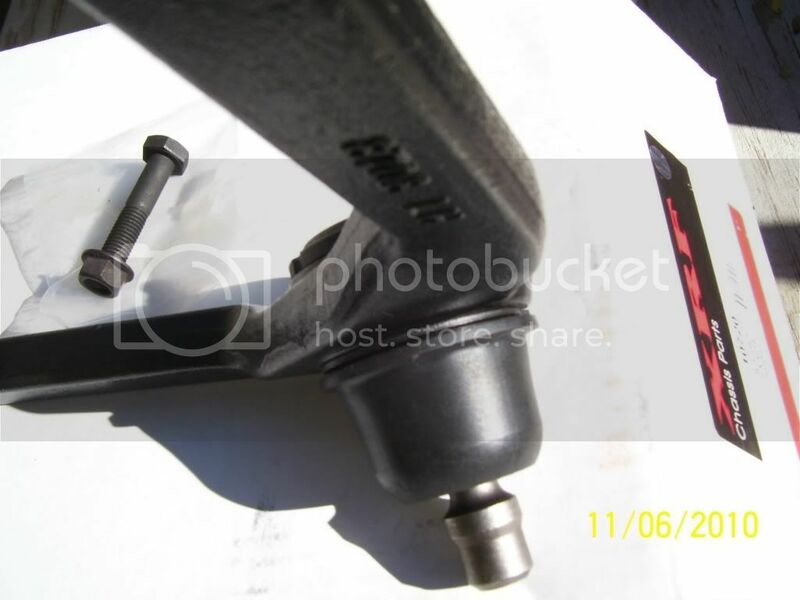 The "Pro" grade Inner tie rods also look to be the same as the M-N and are $10 cheaper than M-N.
do you have to buy a set of two of them for passanger and driver side?? Please be a little more specific. Which 2 parts are you referring to? Another development has arose. 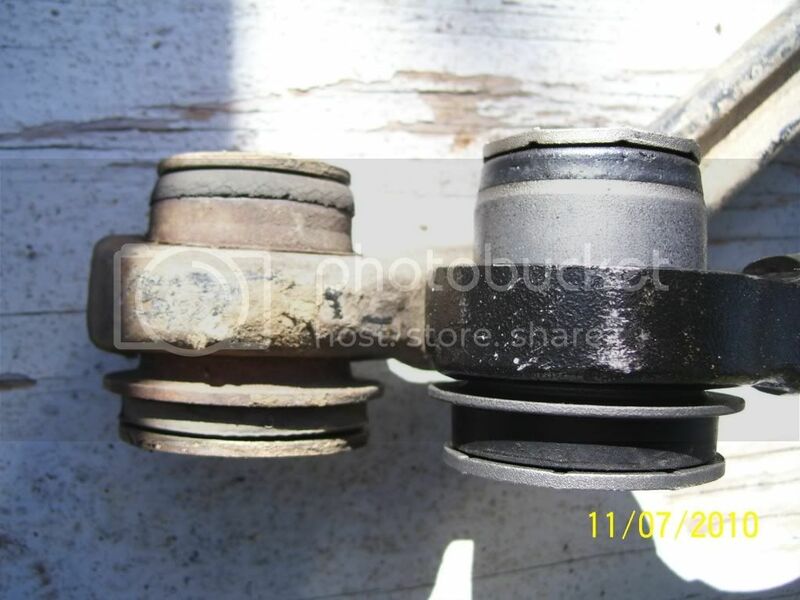 It seems my 2 year old rack & pinion bushings have also failed. I need to replace them for the alignment. After some searching, I have found that there is a HD prograde bushing kit made by the same company that makes the M-N, NCP, & Raybestos HD parts. Rockauto was again the cheaper source for them by 50% over Amazon.com. When these bushings are shot, there is side to side play in the entire steering setup, and a true solid alignment can't be done. Another HD Pro grade upgrade is the Lower control arms. 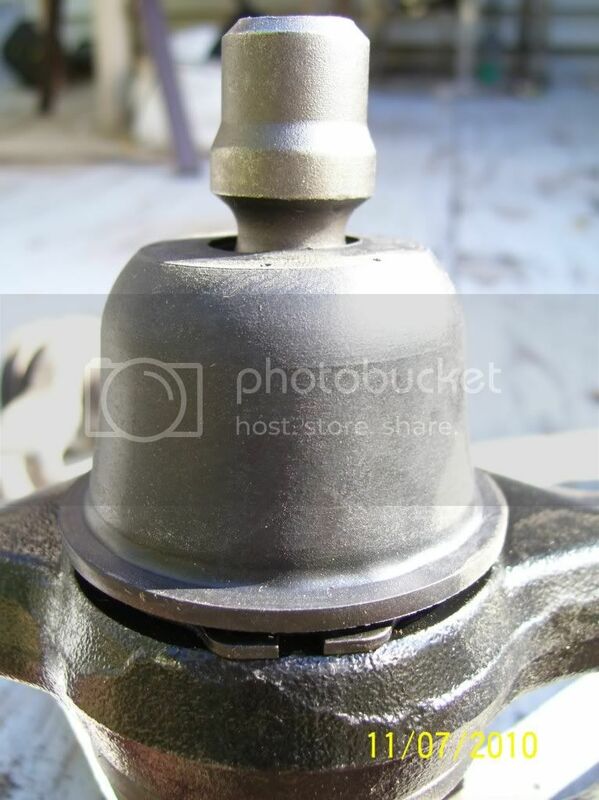 They have a bigger ID hole for a larger HD ball joint. 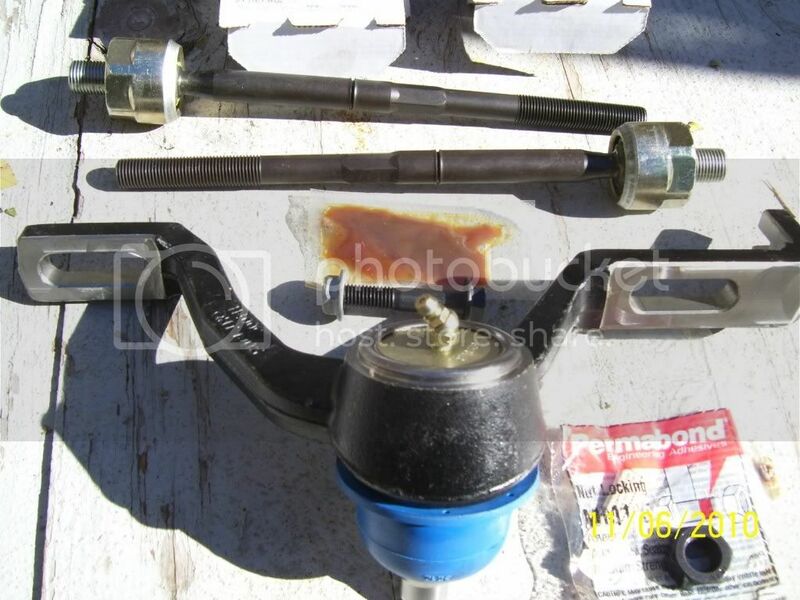 These also come with new bushings, and a new ball joint already installed. Very good price from Rockauto.com. 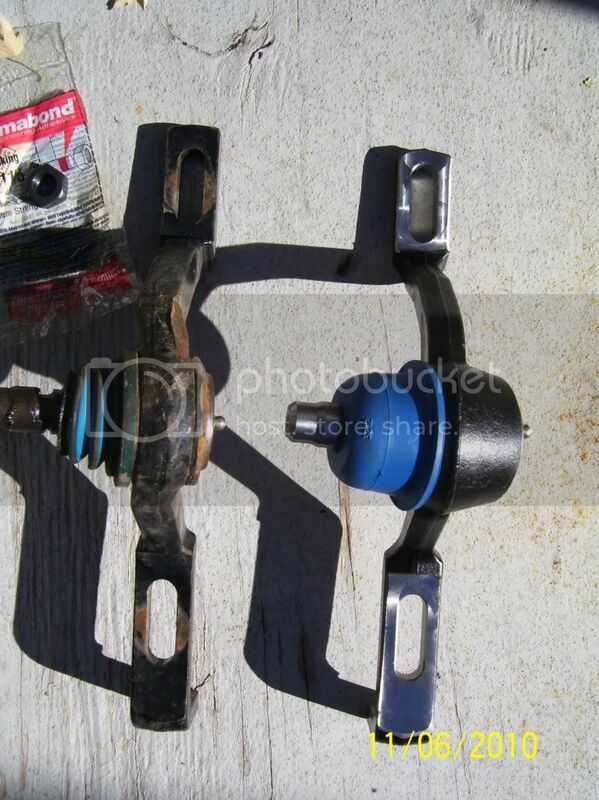 Considering the cost of a HD ball joint + new bushings + shipping, the control arm is almost a freebie. After installing the Pro Grade parts, the front end feels nice and tight. It handles better than it ever has, and is stronger than it ever has been, in its entire existence. The abuse this rig takes off road might shorten the life span of some of these parts, but for anyone that treats their rig mild off road, or street thrashes, should never have any more problems with these parts. Of course this is my opinion only and time will tell us more as it goes along. Rockauto was the cheapest place that I had come across for all the Raybestos parts, and we get a member discount when you use the EF discount code upon checkout. 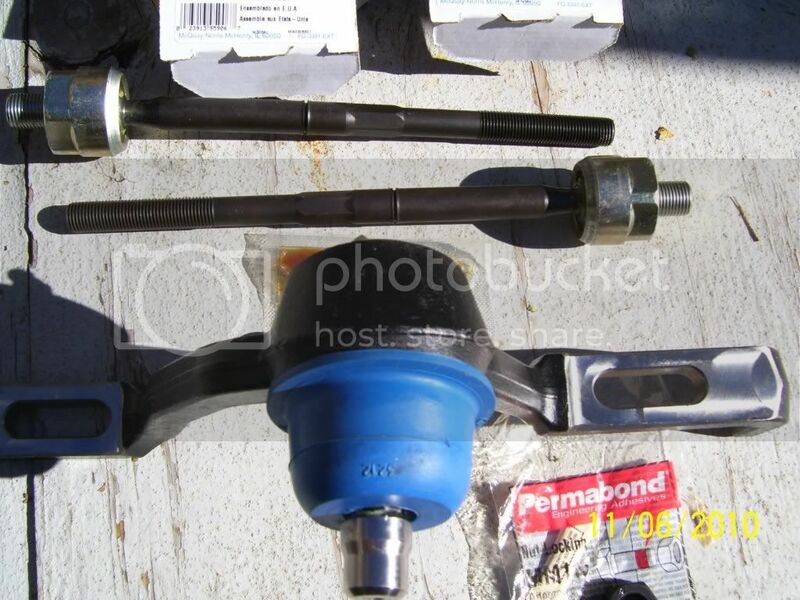 They were 50% cheaper than Amazon.com for the rack & pinion bushings. They beat out Amazon prices for the M-N brands (Rock has Raybestos, same thing) by up to $50. JC Whitney also sells Raybestos at comparable prices, but no member discounts. XRF parts are cheaper than any of the other HD parts with a million mile/lifetime warranty. Downside is, they are made overseas, and who knows how long they will be around to honer such a claim. I was told that no questions are asked when returning XRF parts for new replacements. Once you buy them, you never spend another dime on that part. That is assuming, your the one doing the work replacing them. Raybestos and M-N parts have a 1 year full replacement warranty on HD parts, 3 months on service grade parts. 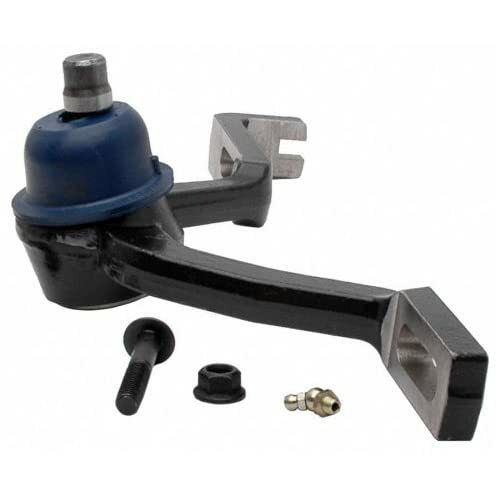 I just wanted to update this thread and let you guys know that rock auto sells the upper passenger side professional grade control arm under part number 5001090, its under ball joints for whatever reason (a couple other upper passenger arms are under ball joints as well), but its a complete arm... its 75 dollars. ^-- that's 1/2 of the upper arm. The one piece arm is not available last time I looked, XRF offers a one piece arm in a pro grade if thats what someone wants. Every place I have looked only sells that piece, is it alright to reuse the other stock half? I assume so since most of the pictures in this thread show what I posted. 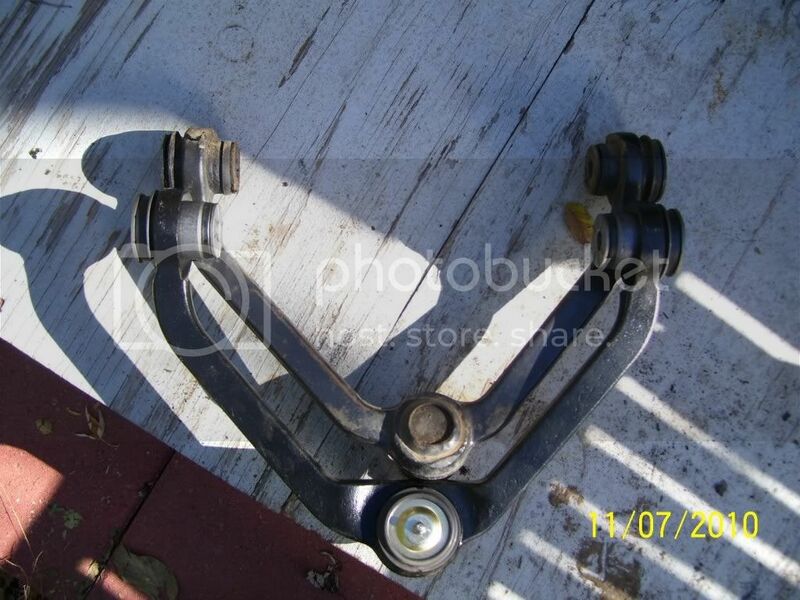 Thats the ball joint half of the Arm. 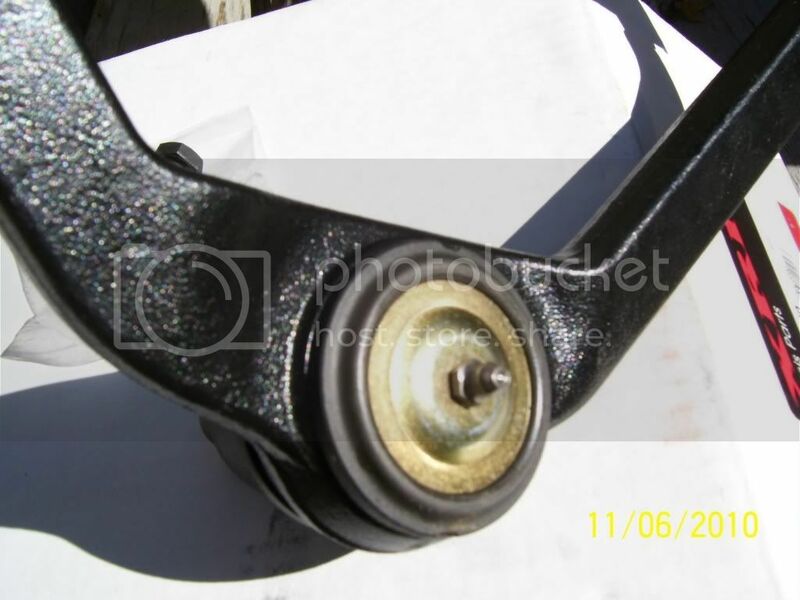 As long as your control arm bushings are good, use it. It gives a better alignment anyways.